A kennel, dog run or play area surface can be made up of a variety of complex textures, cracks and crevices, becoming a magnet for soils. This is the perfect environment for the “HOST”, or odor and disease causing microorganisms to migrate and multiply. 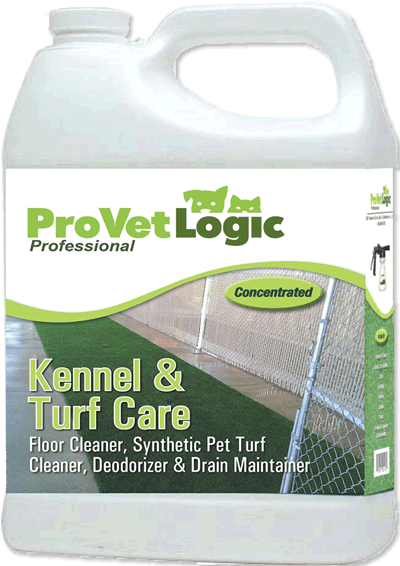 Soiled synthetic turf, concrete and other porous surfaces invite a multitude of negative impressions related to cleanliness, hygiene and safety. 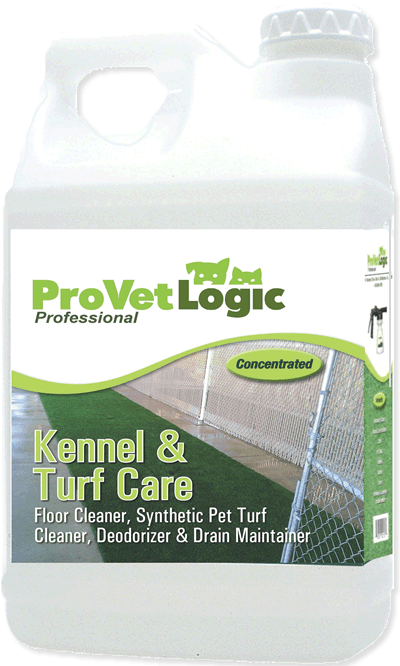 Kennel and Turf Care by ProVetLogic is a high performance, bacterial‐enriched synthetic pet turf cleaner, concrete floor cleaner, odor eliminator, organic waste degrader and floor drain maintainer. 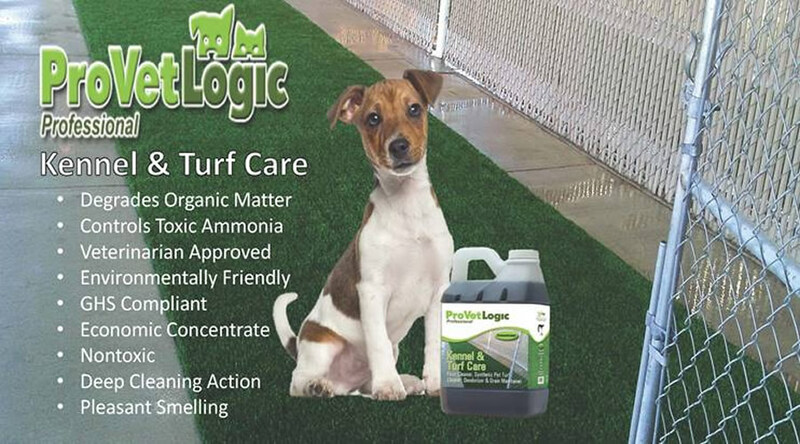 Many people acquire synthetic pet turf by searching for “Cheap Artificial Grass.” The problem with that approach is that it does not look out far enough to include the maintenance that artificial turf requires. Nature would normally remove urine and feces from regular grass by using bugs, bacteria, rain and sunlight. 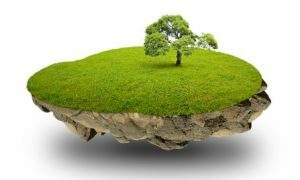 With artificial turf, you need to give nature a helping hand. 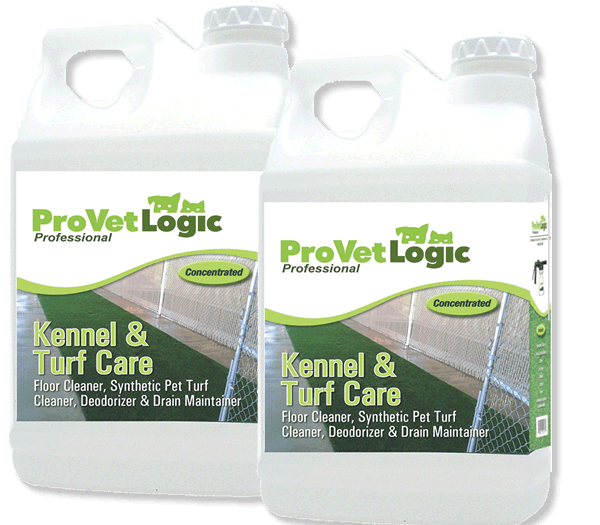 That’s where ProVetLogic’s Kennel and Turf Care comes in. 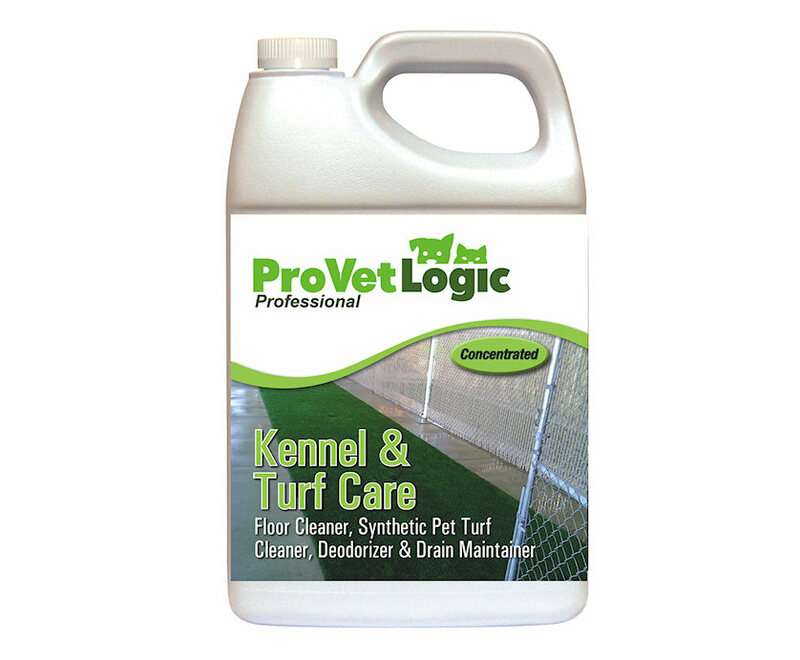 Unlike standard cleaners and deodorizers, the active ingredients in Kennel Care will penetrate the turf surface, travel through the fill material and into the base substrate. 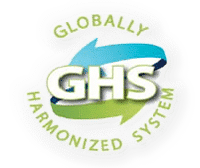 The solution will follow the path of the animal urine and other waste matter and continue to degrade the disease and odor causing organic matter until it is eliminated. 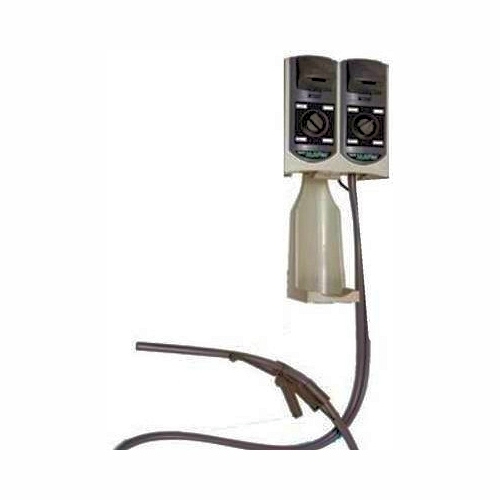 Make sure that the exterior turf is pitched away from the building to a drain or other outlet and that floors have drains for interior installations. 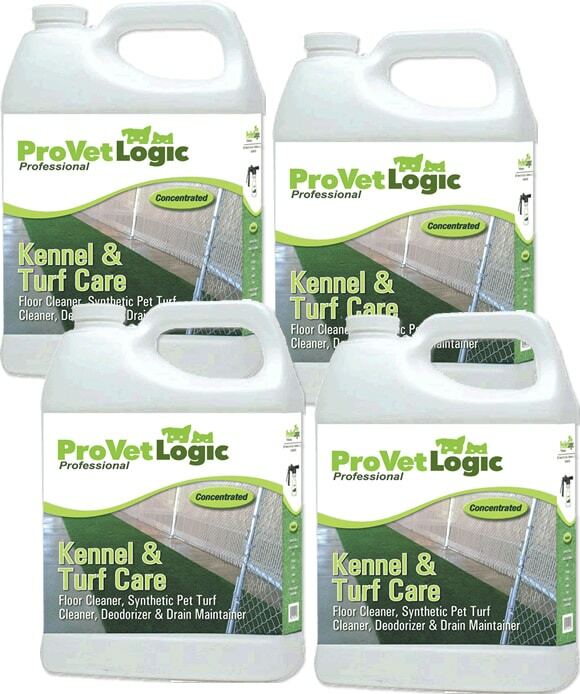 Kennel and Turf Care is most effective when applied using the ProVetLogic Pro-Foam 2 multi-dilution, application and rinse system. 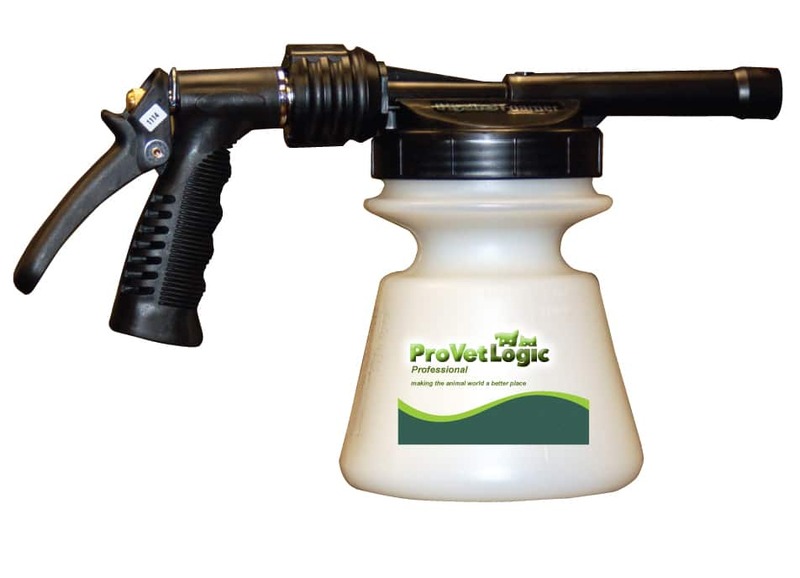 Kennel and Turf Care can also be applied using a garden style pump-up sprayer. 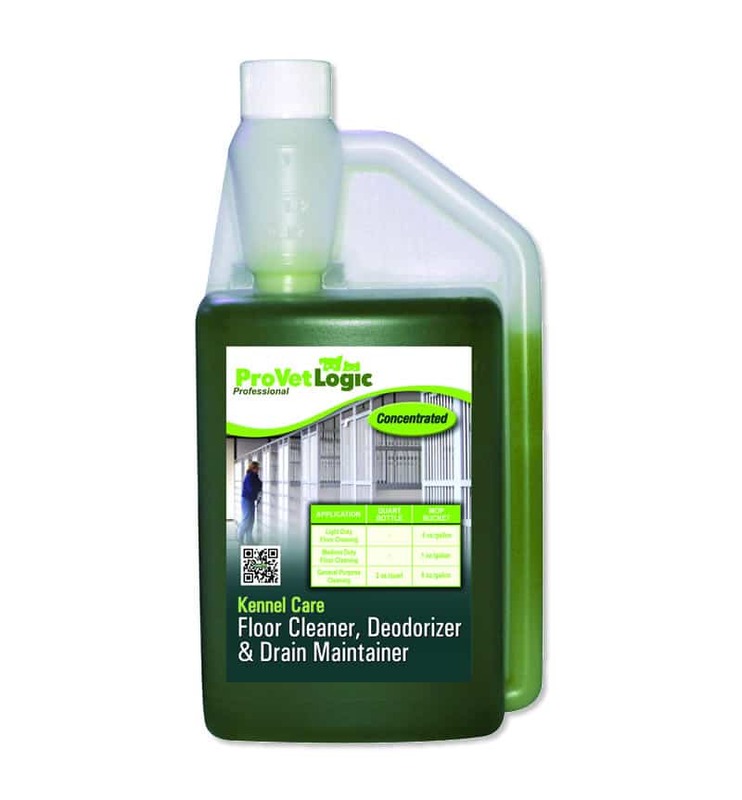 For Light Duty Cleaning: Dilute 2 ounces of product per gallon of water, apply to surface, allow to dwell for 3 to 5 minutes and agitate if needed. Rinse thoroughly with clean water. For Medium Duty Cleaning: Dilute 4 ounces per gallon of water, apply to surface, allow to dwell for 3 to 5 minutes and agitate, if needed. Rinse thoroughly with clean water. For Heavy Duty Cleaning: Dilute 8 ounces per gallon of water, apply to surface, allow to dwell for 3 to 5 minutes and agitate, if needed. Rinse thoroughly with clean water. 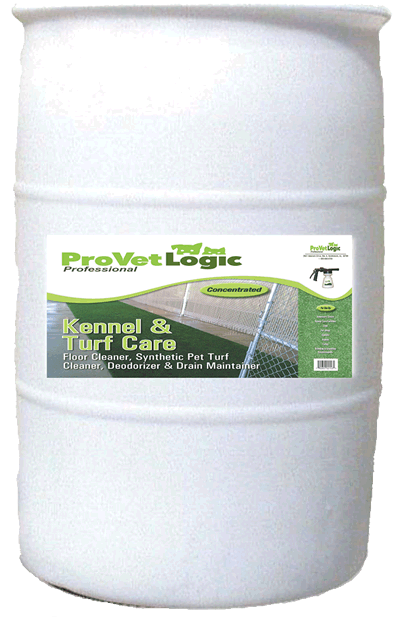 Kennel and Turf Care is available in one gallon sizes appropriate for home use, all the way to fifty-five gallon containers for commercial applications. Please call for freight charges if you plan to order sizes 30 gallons or above. Remember that shipping is free on purchases over $149.00.